Tuberose proteiform, in many forms and colours; introduced to France from America, the dahlia quickly became valued for its ornamental beauty. We can admire some varieties that Monet cultivated such as the digoinaise star or its extremely close descendant such as the red, yellow or mixed honka cultivar at the end of the ally. 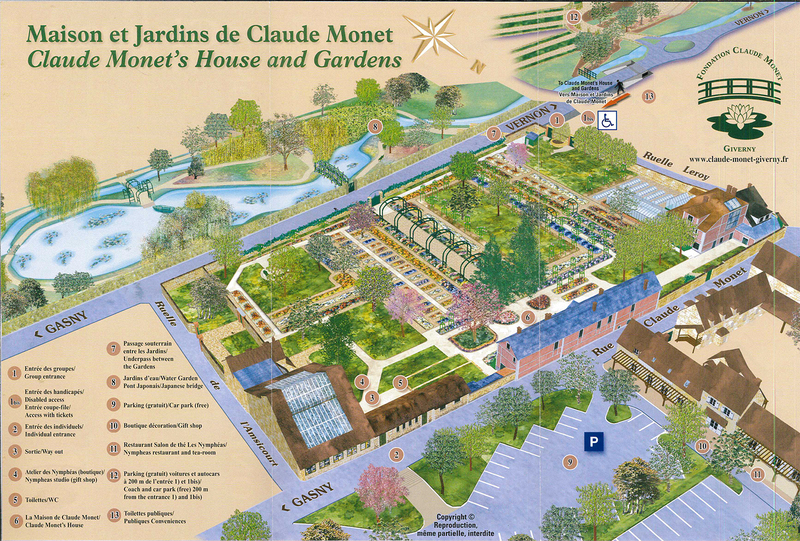 We find also some very modern varieties that Monet without doubt would have chosen for his garden! Planted in spring, they flower all summer until the end of the season. In autumn, the dark purple dahlias form with the nasturtiums a strong chromatic alliance in the central path of the Clos Normand. Red dahlias are honoured in Claude Monet’s painting titled “Alice Hoschedé au Jardin”, painted in 1881. As in Monet’s time, tubers are divides and repotted individually in February in the greenhouse without excessive heating. Slowly, they start to grow until the end of frosts. By that time, they already reach about 50 centimeters in height and are in bud, ready to bloom. The dahlia requires to be tutored throughout its growth. 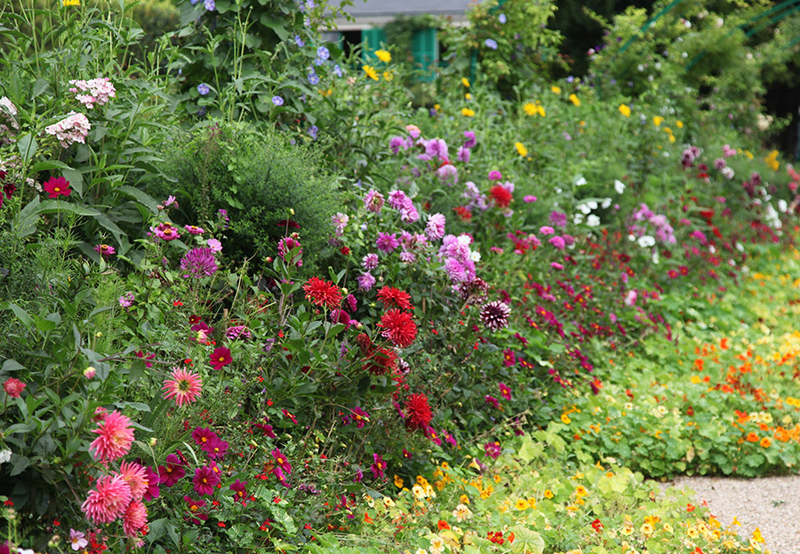 Ensure to remove dead flowers in order to appreciate the plant in all splendor, till the first frosts.